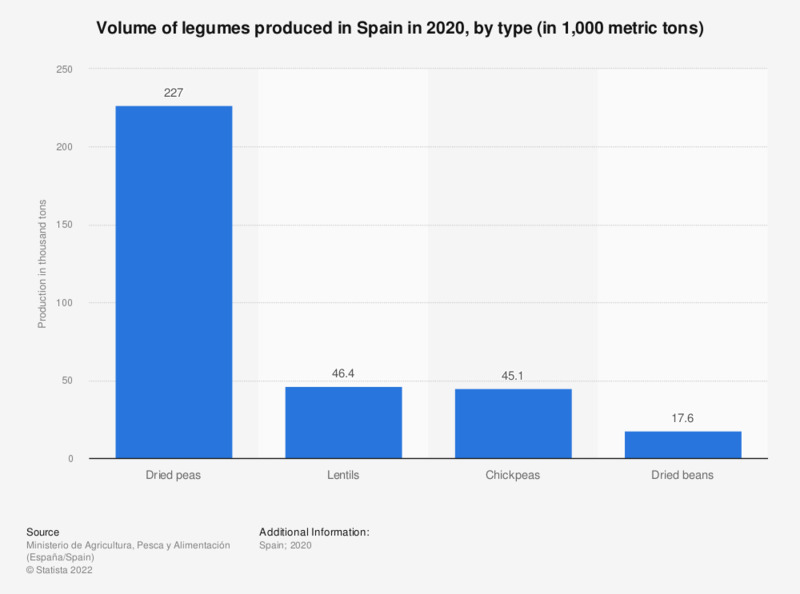 This statistic shows the volume of legumes produced in Spain in 2017, by type and in thousand metric tons. Dried peas ranked as the type of pulses that Spain most produced, with a total production volume of 194.3 thousand metric tons. Chickpeas followed far behind, with its production volume figures amounting to nearly 40 thousand metric tons. Chickpea production in Spain has however experienced an upward trend over the past years, whereas the production of lentils has been fluctuating greatly.